Fits all C96 or Bolo Newly made .. Fits all C96 or Bolo Chinese military surplus Unissued condition Minor storage wear ..
Mauser Broomhandle 1930 Red 9 reproduction walnut grip. With grip screw. ..
Mauser Broomhandle 1930 reproduction walnut grip. With grip screw. ..
Mauser Broomhandle Bolo reproduction walnut grip. With grip screw. ..
Mauser Broomhandle C96 Red 9 reproduction walnut grip. With grip screw. ..
New old stock from Europe. Like new , excellent condition. $5.99 each. ..
Mauser Broomhandle reproduction walnut grip cleaning rod. 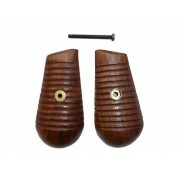 ..
Mauser Broomhandle Bolo Red 9 reproduction walnut grip. With grip screw. .. Fits all Mauser Broomhandle C96 or Bolo Newly made Mil-Spec ..
Mauser Broomhandle C96 reproduction walnut grip. With grip screw. .. Fits all Mauser Broomhandle Original parts Excellent condition .. Original parts Excellent condition .. 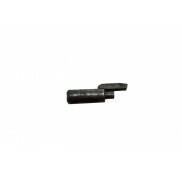 Fits all Mauser Broomhandle Current production .. 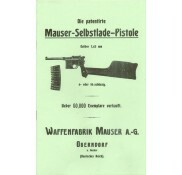 Copy of original Mauser Broomhandle factory manual in German. ..